The Chicago Book Online Business Profile -- Astro Machine Corp.
Keeping up with the latest technology is even more important for original equipment manufacturers than it is for most businesses, since they are the ones who design and produce the products that will ultimately be distributed by resellers. This attention to changing technology has enabled Astro Machine Corporation to continue manufacturing state-of-the-art mailroom equipment since 1978. "Astro has always maintained supremacy in this industry and sustained its direction and leadership by continually following the cutting-edge in technology and introducing this technology in our new products," says George Selak, president of Astro Machine Corporation. 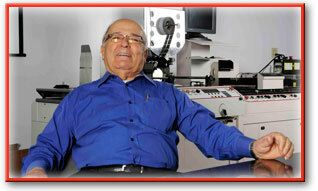 The company was founded in 1969 in Long Island, New York, by George's father, Martin Selak. Although it went by different names that reflected the business model at the time, the primary focus of the company was on rebuilding offset printing presses. In 1973, the business was acquired by a local distributor in Skokie, which brought the Selak family to the Chicago area. 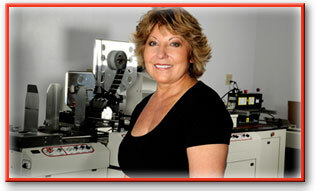 In 1978, the Selaks established Astro Machine Corporation on Bonnie Lane in Elk Grove Village, with the purpose of using their expertise with machinery to produce mailroom equipment. In 1992, after outgrowing several successive locations, Astro Machine Corporation found itself in the 35,000-square-foot facility at 630 Lively Boulevard that is its current home today. It continues to design and manufacture inkjet printers, labelers, conveyors, tabbers, envelope feeders, and accessory products such as inks and supplies for major customers such as Addressing and Mailing Solutions Ltd. (AMS), Media Comfort, Neopost USA, Pitney Bowes, Presstek, Rena Systems, and Riso. "Although most of our business is in North America," says Selak, "Europe and Asia have been steadily increasing, with China becoming a growing market within the last six years." Astro Machine Corporation's 48 employees, many of whom have been with the company since its beginning in 1978, include experienced engineering and manufacturing technicians. The company also retains a family atmosphere with the presence of Selak and his sister, Nancy Dedic, who acts as the company's secretary and treasurer. Selak credits the company's growth to its technological innovation and its ability to build upon its competitors' technological strong points, thereby introducing products that incorporate the highest standard in mailroom equipment. "When Astro first started in 1978, we pioneered in the field of designing and manufacturing envelope feeders for the offset duplicator industry," Selak says. 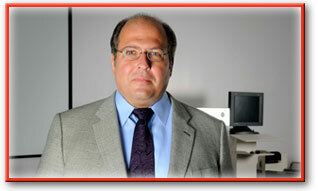 "This core business was the driving force behind the move to a larger facility. In 1989, following U.S. Postal Service requirements for mailing standards, Astro developed labelers and tabbers. These products affixed pre-printed labels onto envelopes at the speed of 35,000 per hour. Our tabbers, which apply wafer-seals to folded material, affix 35,000 double seals per hour. This segment of the business is still quite active and serves companies such as Pitney Bowes, Neopost, Hasler, and many other mailroom equipment dealers." In 1996, Astro Machine Corporation developed an inkjet printer based upon Hewlett-Packard inkjet technology, making it the first original equipment manufacturer (OEM) to be licensed within the specialty printing division of Hewlett-Packard. "Astro has been developing different models of printers ever since, as inkjet technology has become the new core business for us," says Selak. In 2007, Astro Machine Corporation introduced another new innovation into the graphics and mailing industries by developing printers utilizing Memjet technology, designed to achieve high-speed color printing at lower costs per printed page. Using what is known as "waterfall" inkjet technology, Memjet printers can print a color page in less than a second, while saving on electricity costs with its energy-efficient design. The Memjet-based printer that Astro developed, its M1 model, is one of the company's most popular products, along with its M2 stand-alone production-class color printer; the ATS-309 dual head multiple tabber/stamp affixer; and the AMC-2000 envelope feeder. Even in the midst of all of this growth, however, Astro Machine Corporation was not immune to the recent recession. "It took new ideas for products, new development, and a lot of personal one-on-one contact with OEM customers to make a new go of it," says Selak. "However, as was the case with other manufacturers, we weathered the storm. I am happy to say that we have almost recovered our employee loss with a fresh new approach to future growth."